WooCommerce workflow can be a little too long for simple products, you can provide a better user experience, here’s how to get the product to skip past the cart page and go straight to the checkout page. 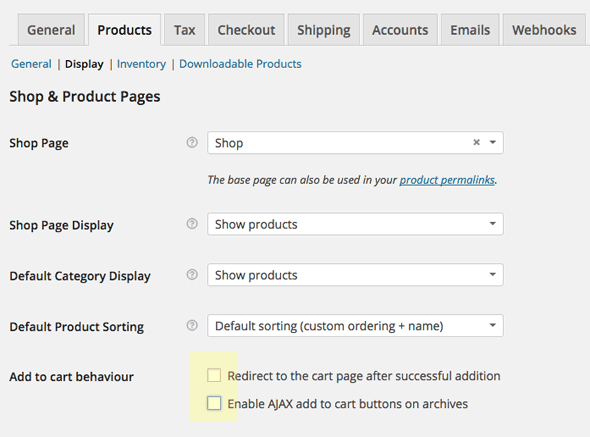 First, uncheck the cart options in WooCommerce Settings -> Products. That’s it now when you click a product add to cart it will go to checkout. Now there are fewer steps to the end product purchase which makes the process simpler for the buyer. How can I use woocommerce without adding product? I want to create a invoice form and direct card payment to network international payment gateway please help me. Broke my site. I get HTTP ERROR 500. 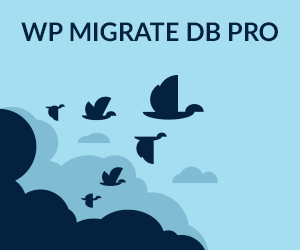 Removed the code from the functions.php file through SFTP and still can’t access the site or WP dashboard. PLEASE advise on how to fix. Thanks. Thank you for helping us. Can you please also tell how to create a sticky checkout that display the checkout page in a slider when customer clicks the cart page? I am a non tech guy trying to set up my first booking website for accommodation’s. I have the bellevue child theme (hotel) and i have managed to set up the right calendar with a form and a book button. I hope somone can figure out explaining me how i can fix this. How can I post the email of the buyer if I bypass the cart. Is there a way to pass it to checkout page by a hook? I love the first bit of code BUT how can you make that happen only for one product? It’s sending me mental trying. Thank you for this post! This may be a stupid question, but where exactly do I input this .php file?? You need to put this inside of functions.php inside of your child theme. Worked great for me also. However how can you REMOVE a product from the cart if you decide to change your selection before checking out? Worked like a charm on the individual product pages, but still see the “Add to Cart” option on the default Shop page in Woo Commerce. Anyway to update the default purchase flow and button on the shop page too. does themeprefix have to be replaced maybe? with the themename or what would be the exact value? thx. No the name ‘themeprefix’ does not need replacing that is a placeholder you can swap something more relevant to your theme name. doesnt seem to work for me as well. maybe its conflicting with other woocommerce plugins like WooCommerce Germanized? Is this still working for you? I know this used to work but doesn’t appear to anymore. Is there by chance an updated snippet? Thanks for the post however for me this is just redirecting to the homepage. Any idea? Tyler, it sounds like your pages are not set correctly in Woo’s Settings. Navigate to WooCommerc > Settings > Checkout Tab, then look down the page for the heading of “Checkout Pages”. Make sure your cart and checkout pages are set correctly.